Next Sunday is Father's Day here in New Zealand and I needed a card for my dad. Unfortunately this weekend was proving to be a mojo-less time in my craft room. 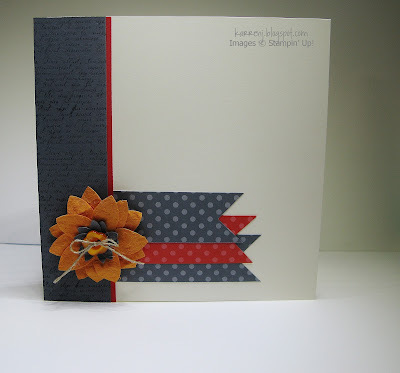 So here we are, Sunday evening and I finally have a finished card. 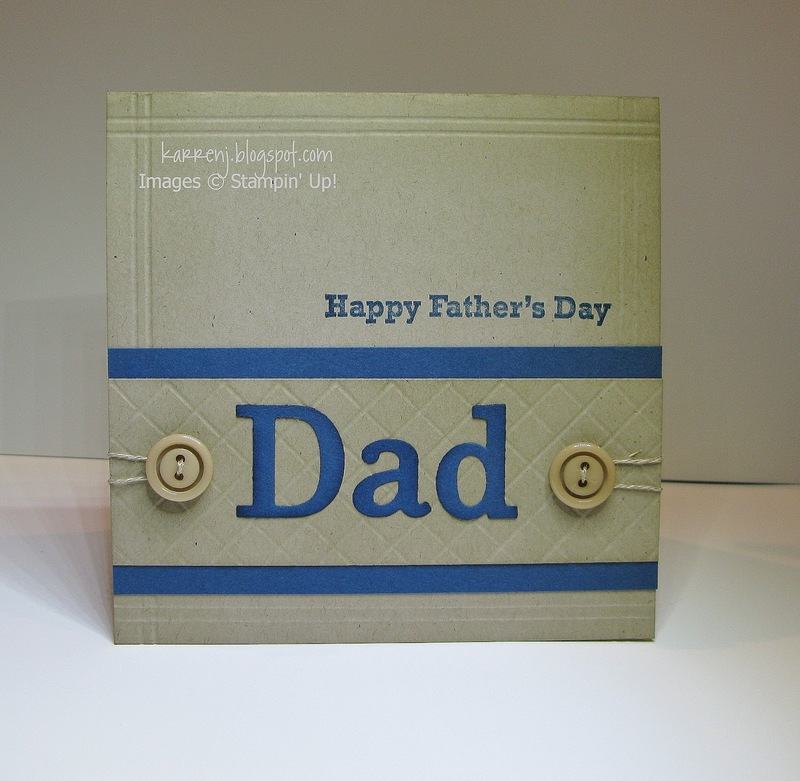 It's very simple but I think it will appeal to my dad. I used the sketch from Freshly Made Sketches as the starting point for my card. 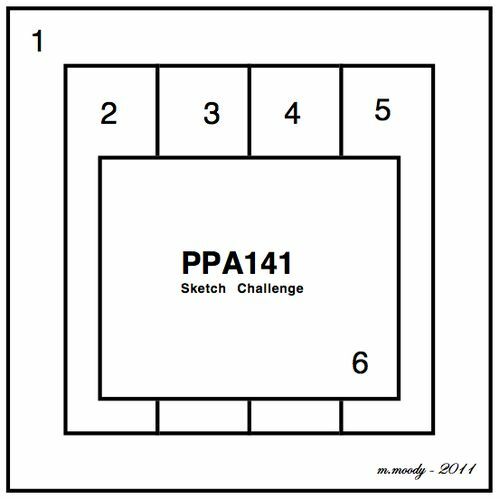 I love the clean lines of the sketch. I used my Simply Scored to add some texture, but otherwise my card is pretty simple. Thanks for looking. I probably won't be able to post again for a couple of weeks as next weekend my work is flying DH and myself to Wellington for dinner and a night's accommodation to recognise my length of service to the company (which is more than 20 and less than 40 years LOL). I again pulled out my favorite stamp set, Botanicals, for the challenges at The Paper Players and Friday Mashup. I love all the images in this set, but this poppy image is my favorite and most-used. 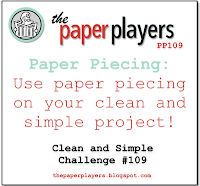 In keeping with the Paper Players challenge, I paper-pieced the poppy and leaves. 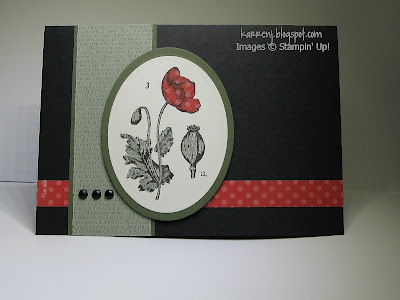 The poppy using the polka dot DSP from the paper stacks and the leaves using the script DSP. The stamp image is so detailed, it's quite hard to see the script unfortunately. 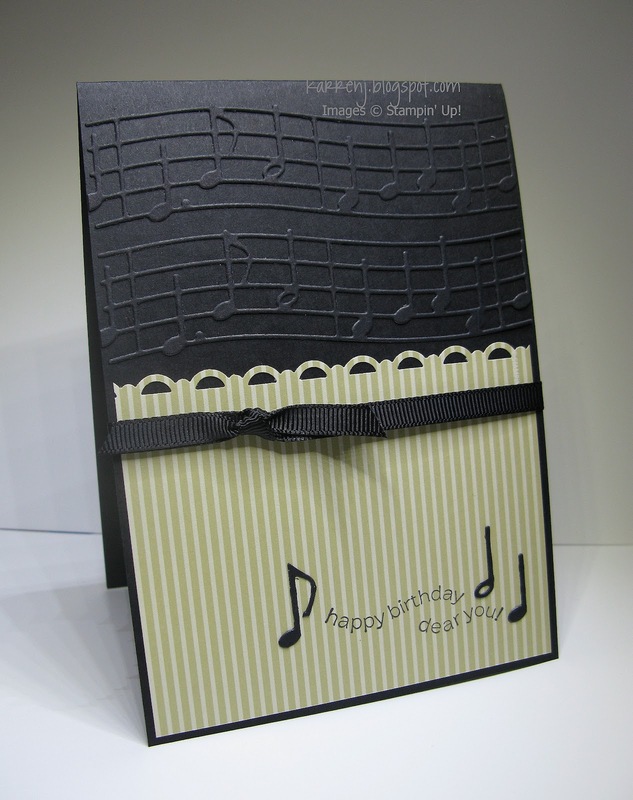 I used the same DSPs for the card layers, then finished off with three black brads. 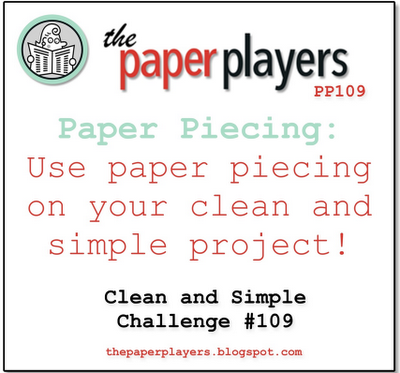 Edited to Add: This card was chosen as a Cut Above for the Paper Players challenge. 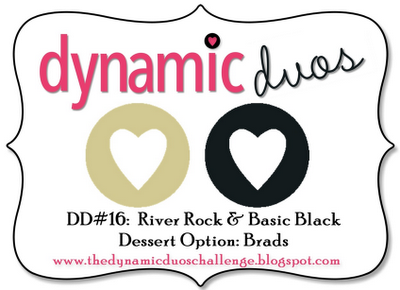 The color challenge at Dynamic Duos this week is Basic Black and River Rock - a gorgeous combination. The team at Addicted to Stamps have a Cards for Boys challenge going and I think this card would fit (edited to add: missed the deadline at Addicted to Stamps - oops). I have no idea how my mind worked to get to my finished card, but here it is. 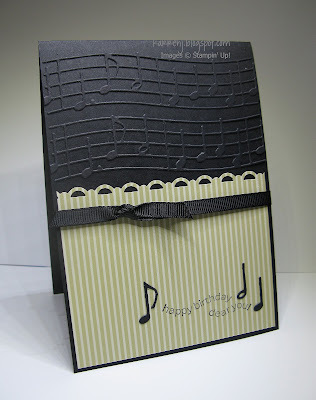 I just love the tone-on-tone look of the music notes die on the Basic Black card base. I chose the sentiment because it looks like it's being sung and that keeps with the theme. 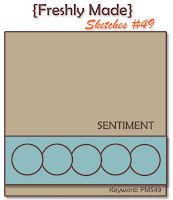 I cut out a few individual notes from a third die cut to place around the sentiment. My 2-way glue pen got a workout with this card, let me assure you LOL. I'm calling this the forever card, because it took forever to come together. 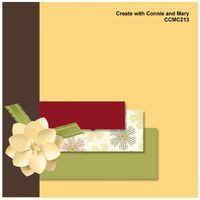 I couldn't get my head around the sketch at Freshly Made Sketches this week, nor could I work out how best to use the colors for the color challenge at Create with Connie & Mary. I have spent 3 days trying to work this out in my head. I used Midnight Muse as my main color, with Daffodil Delight second. Gumball Green as you can see only got a peek in LOL. I overcame the horizontal panels in the sketch by using the branches from the bird punch. They're probably a little bit too "even" but I wanted to stick as close to the sketch as possible. Lastly, there's a little tiny pearl that persists in moving out of alignment. He is really bugging me, so it may be that he is exiled to the rubbish bin and another pearl is given the opportunity to take center stage. That'll teach him LOL. 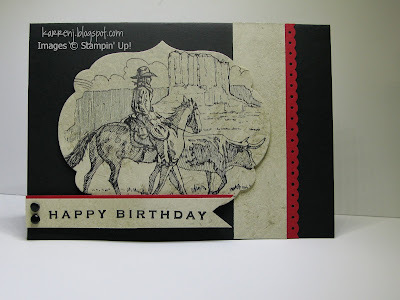 My first card of the weekend is using a stamp set I've had since it was first introduced but had never inked it up. Oh, the shame! Established Elegance appealed to me as soon as I saw it, but I'd never used it. I know I'm not alone in this, so why do we do it? Who knows the ways of a stamper's mind LOL. On to the card. 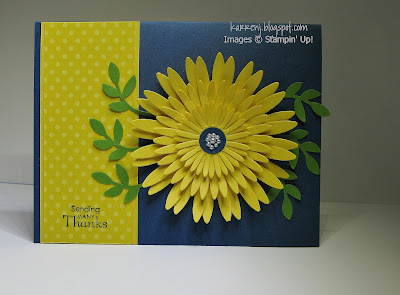 This card is being submitted for this week's challenges at Hand Stamped Sentiments and Pals Paper Arts. 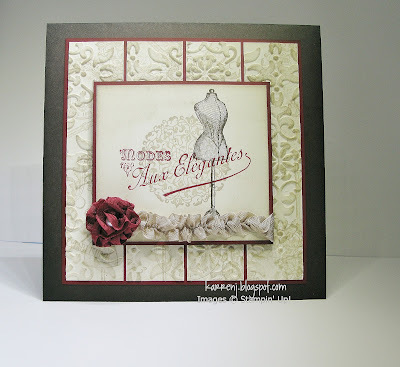 It's quite hard to see in the photo, but the dry-embossed layer was first stamped with various images from Established Elegance and Artistic Etchings in Crumb Cake ink. Then I ran it through the Big Shot, lightly sponged Crumb Cake ink over the raised portions and finally cut it into strips. The seam binding flower was made by pulling a center thread in the ribbon to gather it and then rolling the ribbon into a flower shape and sticking down to some sticky strip. A pearl peeks out from the center of the flower. 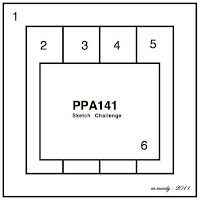 One card, three challenges! 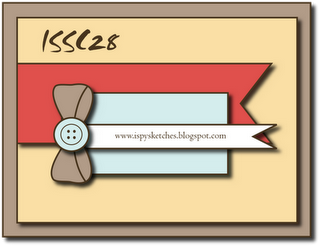 The sketch challenge at iSpy Sketches is another great one this week, with those gorgeous fishtail banners. 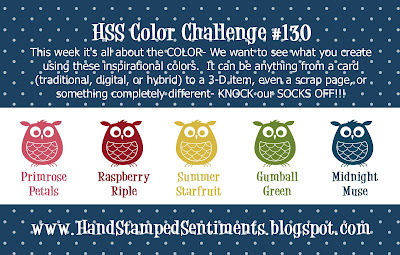 Plus Just Add Ink have a "Blue & Bling" challenge and as soon as I saw the inspiration photo at Stampin' Royalty, I thought "blue & bling" - bonus! A few notes about the card. Apart from the card base, all the rest of the layers are Whisper White. 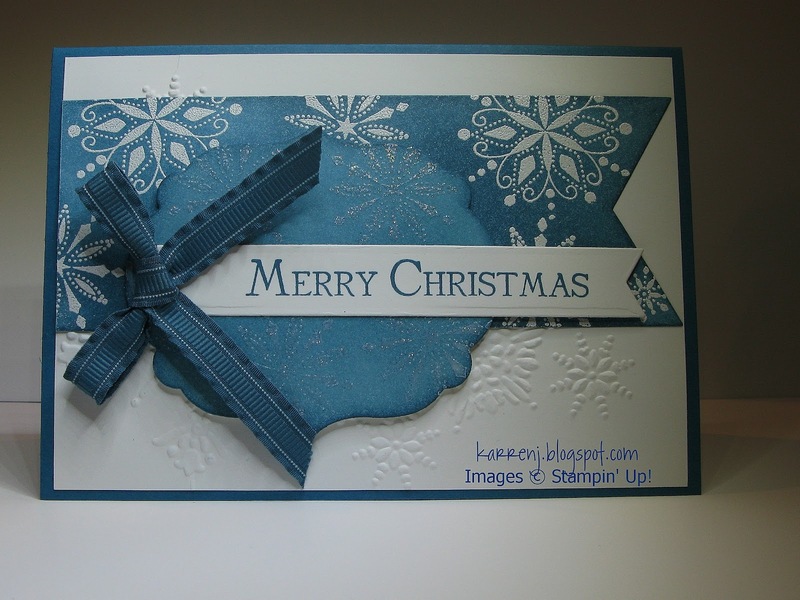 The blue layers were sponged with Island Indigo before stamping. The fishtail banner was stamped and embossed in white and the Labels Framelit layer was stamped and embossed with Iridescent Ice EP. IRL it's a lovely shimmery layer. 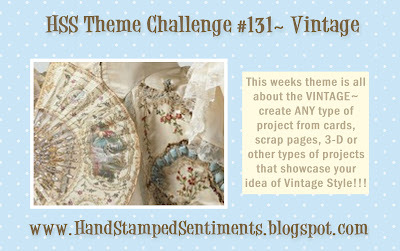 This week's challenge at Hand Stamped Sentiments is to use all 5 of the new In Colors. 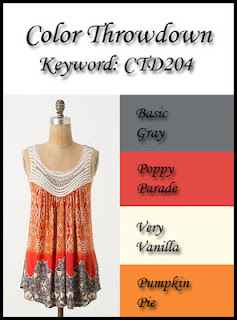 Quite timely, as we're in the pre-order month for our new catalog which includes the 2012-14 In Colors. 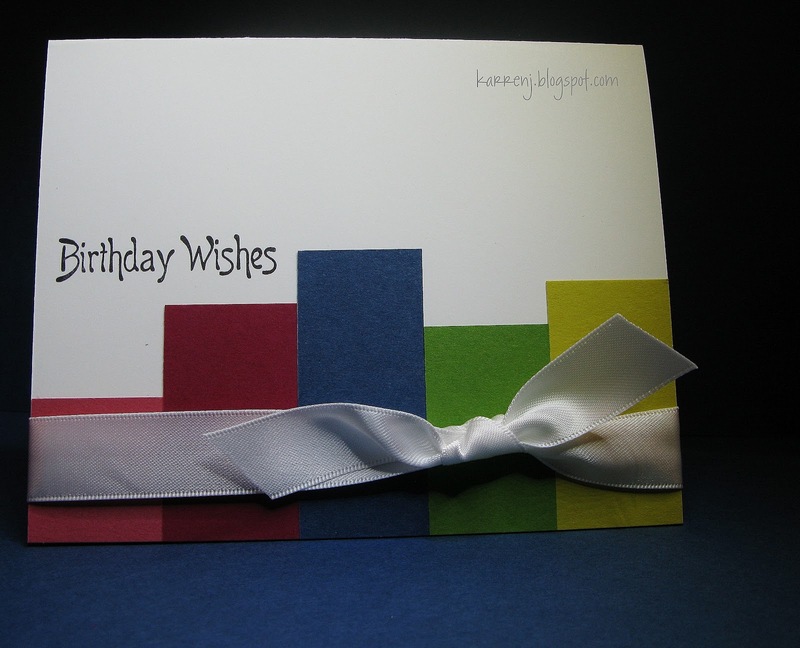 For my card, I went very simple, letting the colors take the spotlight. My card is an odd size - 5" x 4". 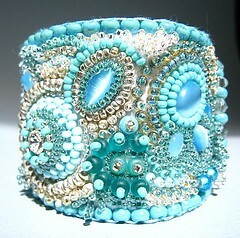 I originally made it 5" x 5" but didn't like the balance so I cut an inch off the bottom. I like these dimensions better for this card. Unplanned but interesting is the fact that my 3 favorite colors got the most space LOL. For my second card today, I chose the awesome sketch challenge at Create with Connie & Mary as well as the color challenge at Color Throwdown. 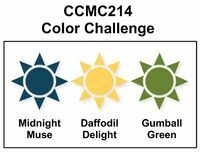 These colors are right up my alley, although funnily enough, of the four colors, Pumpkin Pie is my least favorite, yet that is the one I chose for the main focal point - go figure LOL. 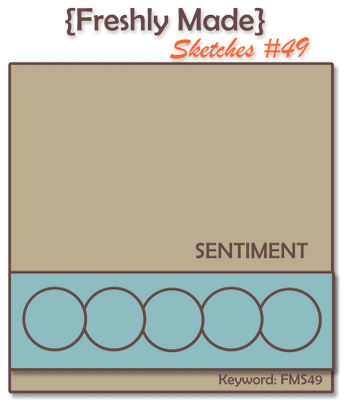 Because the sketch has a lot of white space, I chose to go CAS with this card. The flower was made using the faux suede technique and the 5-petal flower and spring bouquet punches. 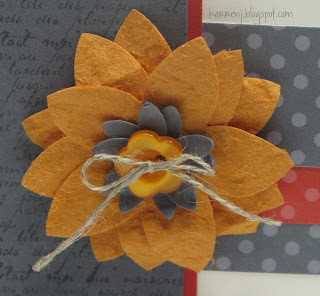 To finish it off, I tied a bow using linen thread through a small Pumpkin Pie button. Here's a close-up of the flower so you can see the cool texture the faux suede technique creates. This week's sketch over at Freshly Made Sketches is a great one! I decided to combine that sketch with the challenge at SUO Challenges to use DSP. I had decided to use The Open Sea and make a masculine card. This took a while to come together but I'm quite happy with the end result. 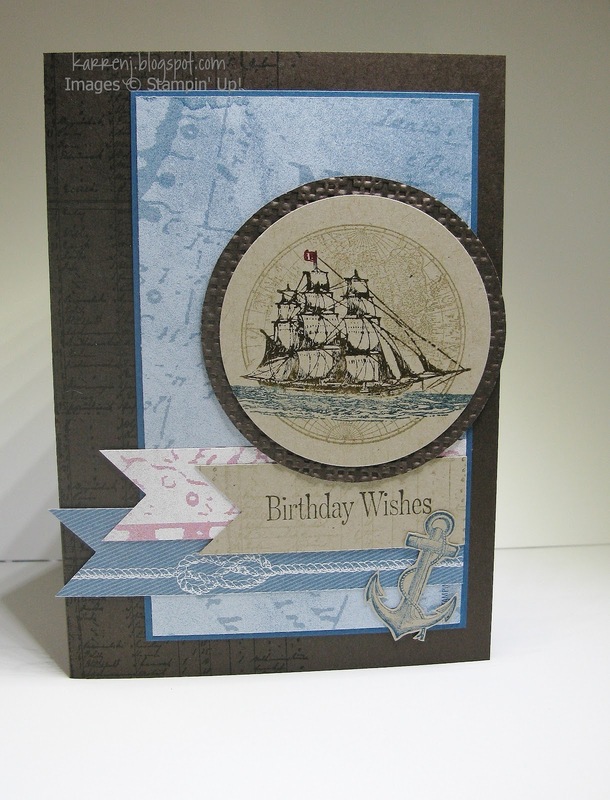 I stamped down the left hand side of the card base with the ledger image from The Open Sea set. For the main image, I colored the ship using markers and stamped onto Crumb Cake. I then masked it and over-stamped the globe image using Crumb Cake ink. The sentiment comes from an old hostess set called Occasional Quotes. 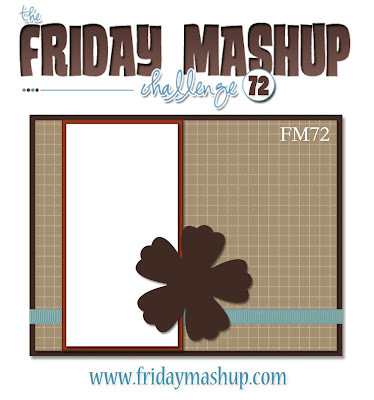 Here's my submission for this week's challenges at Freshly Made Sketches and Create with Connie & Mary. I created all the light layers using the faux mother of pearl technique. I used Champagne Mist shimmer paint and it has a lovely shimmer. Here's a photo of the cardstock before I stamped on it. I started with Very Vanilla cardstock and dabbed shimmer paint using some wadded up cling wrap. Then I sponged Sahara Sand ink over the whole piece. I put another light layer of shimmer paint over the top to finish it off. It looks lovely in real life - trust me LOL. 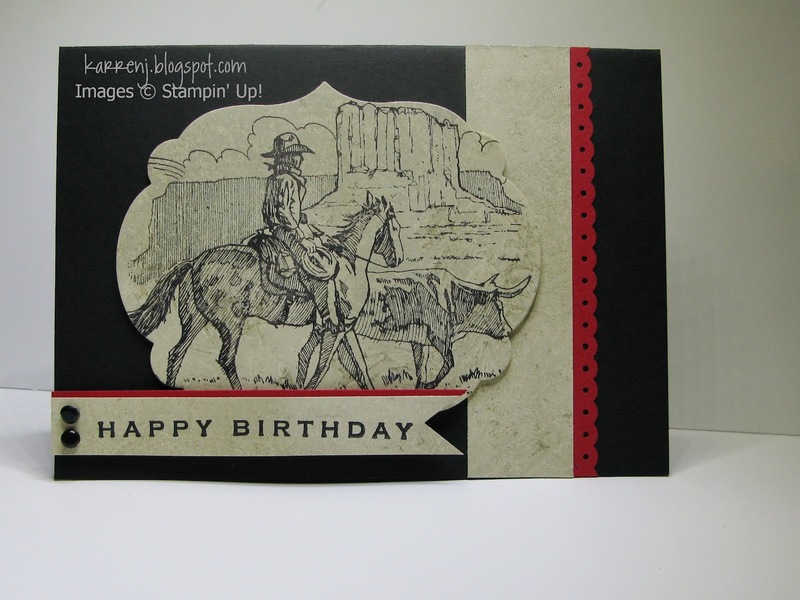 The stamp set I used is from 2002 called Wild, Wild West. It goes for huge dollars on Ebay, but I managed to get it for a lot less than it's currently selling for, which is the only reason it's part of my collection. I also realised that I've mounted the Happy Birthday rubber crooked on the wood block. I've had that stamp set forever and only just realised now - doh! Off to the microwave I go to correct it.